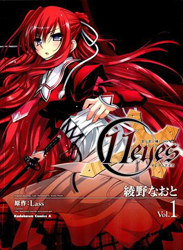 Sakaki Ayaka is a freshman girl with the ability to break things by using resonant vibrations. She's mostly been able to carry on with a normal high school life, though occasionally things happen around her that make people think she's kind of weird. Lately, though, she's started hearing voices! The voice in her head, belonging to a legendary giant tuning fork that wants to aid her, tells her of the incredibly powerful Keymaster, and that with some practice she could be very powerful herself! In some way, her new teacher appears to be mixed up this as well. What kind of situation has Ayaka been dragged into? And with all this going on, will she be able to keep her classmates from deciding that she's completely insane? A collection of 6 Western-style science fiction stories. The topics range from space travel, to aliens, to cave men, to danger under the sea. For example, the first story, Aphrodite Inferno, features a team of astronauts going to find out what went wrong with a manned mining operation on Venus that has gone mysteriously silent. Mochidzuki Renta is an aspiring college student, trying to support himself while studying for the entrance exam of his preferred school. He's started renting the spare room in the Hanano bath house. What this means is that he's living with the sweet, hardworking, innocent, and quite beautiful Bandai Sakurako, who runs the bathhouse. They are growing to like each other more and more, but one thing could potentially sabotage their budding romance. Every other woman Renta meets, even his college entrance cram school teacher, seems desperate to get in his pants. And Renta meets a fair amount of women, since the girls from the dorm of the nearby nursing school often come to the bathhouse. Will Renta be able to deflect the unwanted attentions of all those women in order to pursue a relationship with Sakurako? 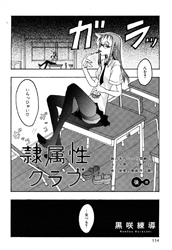 A 10 page one-shot from the Houkago Play author. A sensual encounter involving two people, ice cream, and a blindfold. After establishing contact with extraterrestrial civilizations, it was found that humans were the only race to develop various sports. The number of alien sports fans grew dramatically, and the most fanatic of them regularly harass stadiums by taking part in a game, or by demanding a good show, etc. Finally, a treaty was settled, ruling all interferences towards other planets' cultures illegal. Rabbit Force, a group of rabbit-themed henshin girls, became responsible for enforcing the treaty and capturing any offenders. 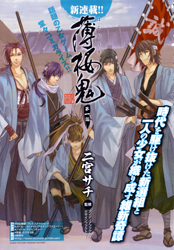 Based on a popular otome game, Hakuouki follows Chizuru and the Shinsengumi in an alternate reality. Chizuru travels to Kyoto in search of her missing father but after being involved in an incident, ended up being taken in by the Shinsengumi where she meets the members including the famous Hijikata Toshizou and Okita Souji. Chizuru’s father was conducting government research for strengthening the Shinsengumi and developed the ochimizu. The ochimizu is a formula that gives demon like strength and regeneration effects but once taken, the user experiences extreme pain and eventually turns into a blood hungry monster. In order to combat a deadly virus, an implant was made that is transplanted into a human being's nervous system. Unfortunately, this implant technology was also used by the less scrupulous to create human weapons, blood-red eyed creatures referred to as "Roido". To cope with this threat the defense agency has created the Karakuri unit, an elite unit whose human members are monitored by small talking animals. As Kiru the karakuri goes to visit his friends Koten and Koron while on leave, he's going to learn that there are no days off against the Roido! 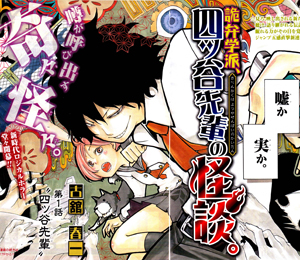 Serialization of the one-shot Kiben Gakuha, Yotsuya Sensei no Kaidan. In the midst of a female-kidnapping serial killer incident, Makoto's best friend Hinano has vanished completely. Desperate to find her before it's too late, Makoto will try anything-- even invoking the resident phantom student of her middle school, Yotsuya-sempai! Surprisingly, Yotsuya-sempai appears to be an actual person. He's obsessed with creating the scariest stories ever, using the people and situations in Makoto's middle school to stage them. Though Yotsuya is mostly just interested making scary stories, Makoto finds that his stories tend to contain a kernel of truth and that they can reveal their terrible truth in the telling. But as Makoto helps Yotsuya stage his tales, can she convince him to tell the story of the whereabouts of her best friend? Captain Bagures, the leader of the research spacecraft is a cold and cruel woman who despite the warnings, unnecessarily send a military team down to the planet for research. The end result was a catastrophe with the team being slaughtered by the creatures on the planet. The leader of the team named Cannon, vows vengeance on Bagures before seemingly dying. 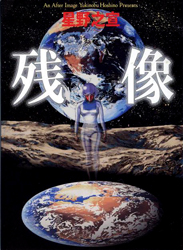 Jump to 20 years later, a spaceship comes near Deronga Five Alpha to see the last of the planet. As the planet explodes, a foreign object attaches itself onto the spaceship. As nothing can survive a planetary explosion, the crew investigates the object only to find out it is one of the creatures from the planet Deronga. As the story progresses, the creature goes into a rage after seeing Bagures, now an extremely important person in the military, on the monitor screen. Could this creature be Cannon and how do you stop something that can withstand a planetary explosion? What exactly is love? Or to put it another way, what causes someone to decide that they prefer one person over everyone else? Mishima Rika, a curious high school girl, just doesn't understand the concept, and her boy-crazy big sister is little help. The boy who sits next to her at school, Kagawa Michiya, is wildly popular with the ladies, so Rika decides to ask him about it. Shockingly, he's also never really liked someone romantically! Together, they begin to hang out more and more, talking about love and other questions that weigh down the introspective Rika's mind. But what exactly does it signify when they suddenly feel awkward around each other, or fall into a blushing silence? Will these two love-blind teenagers be able to finally figure themselves out? Join the exciting high school life of Kunika, Ryoko, and Yuki! These three girls sit next to each other in school and have become inseparable friends, despite how different they all are. 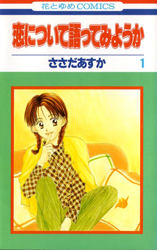 Kunika is a melodramatic, overly idealistic romantic who wants to fall in love and have a boyfriend more than anything! In constrast, boy-hating Ryoko brings her tough, realistic and level-headed attitude to the friendship. Last of all, Yuki is the heart of the group, and tries hard both to be liked by everyone and to help everyone get along. Will their friendship stay strong through all the misunderstandings and troubles that arise as Kunika chases after her countless Mr. Not-Quite-Rights? The beautiful and strong 19-year-old Ginko (銀子） was the leader of the Gubijin Yokohama ladie's motorcycle gang. Now she's given all that up to get married to the man she loves and have a child. It's going to be hard, going from being a violent gang leader to a gentle and retiring housewife. Will Ginko be able to resist the temptations to go back to her old ways, even if she hears Gubijin needs her? For that matter, will she be able to meet the very different kinds of challenges she will face in her new life as a wife and mother? A young high school couple out on a date saw what looked like a falling meteorite, and inside, they discovered a little baby girl! The two of them married and adopted the girl, who they named Morumo, as their own. The only problem with this feel-good story is that now, as a high school freshman, Morumo is 16.4 meters tall! Morumo still has a pretty happy life. She's popular with locals and tourists alike, and she goes to school everyday with her childhood friend Miharu. Then one day, a mad scientist, who specializes in experimenting on young ladies, injects Morumo with a serum that reduces her to 1/10 of her normal size. Her weight remains the same, so she is super-dense and tough like a superhero. Suddenly, it seems like all the joys of an ordinary life are within her grasp!! Sadly, the serum's effects are temporary and soon Morumo returns to her giant state. But now that she knows a normal life is possible, Morumo is not going to give up! Even if it means she and Miharu have to allow a mad scientist to experiment on her, surely the ends will be worth the means! Munakata is an anthropology professor that studies the relationship between folklore or fairytales and real historical events. He believes that many of these stories that people believed to be made up, are actually based on real events that happened. This manga tells the story of Professor Munakata as he follows the clues left from both the imaginary world of fairytales and the real world historical evidence. This manga is highly educational and entertaining at the same time. The connections between the history of the land and the implications it has on the fairytales are extremely intriguing. It is a breath of fresh air if all you read are the typical genres and want some diversity. A retelling of the story of Mai-Hime. Tokiha Mai is entering a new school, and getting a part-time job to pay for her sick little brother Takumi's medical care. But what she doesn't know is that girls called HIME are gathered here, and that she is one of them. HIMEs fight alongside their summoned "Child", but as they fight, they risk the person that matters to them the most. If a "Child" is defeated, that most important person will also be lost. Rising water levels have destroyed the entire world, except for a single remaining living country, 大日本帝国, the Great Japanese Empire. This country exists due to a new and terrible type of power, Ishiryoku, which costs human lives. This country, and therefore the world, is dominated by the resulting powerful, mass-murdering, self-styled Gods. When the young girl Himorogi Mana becomes targeted by these Gods, her father uses the final moments of his life to acquire for her a powerful protector named "Oboro". Will Oboro, and the other companions the two of them will find along the way, be able to preserve Mana's life? 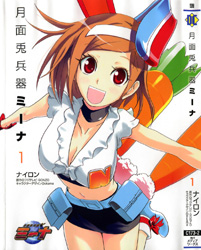 A 12 page one-shot from the author of Houkago Play. A male homosexual couple cuddles and fools around in bed, while talking about their relationship. Kumagaya Koji recently moved alone to Tokyo to study for the entrance exam to one of the most prestigious high schools. However, Koji is neither smart nor stupid, just an average teenager. As the exam date approaches, he gets frustrated and has no confidence that he will pass the exam. 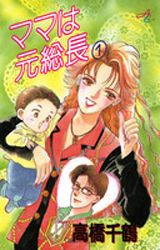 Then, a beautiful woman, Sasakura Sakura, who claims to be a tutor hired by his mother, comes to his apartment and Koji is instantly attracted to her. After cramming for the test with Sakura, Koji goes to the exam location only to find out the teacher is Sakura. Koji passes the exam and is accepted to the high school. How will the hormone raging Koji deal with Sakura who is not only his teacher but his personal tutor? Will he be able to get “1 on 1” time with Sakura? Best friends Shinjou Masaki and Kusakabe Junya are about to become entangled in a story that is rooted in an ancient forgotten civilization. Junya has not been acting like himself since his parents disappeared half a year ago. He's started spending more and more time with an upperclassman, Tachibana, and he has not confided in Masaki at all. What could have happened that night that so changed Junya, and why is he pulling away from Masaki? Masaki does not have a lot of time to worry about Junya, since he has problems of his own. During a blizzard, on their school's ski trip, Masaki is pulled by a monstrous woman named Medusa into a mysterious cave he has often visited in dreams. Here she tells him that his soul is required to resurrect the Demon Lord Dante. 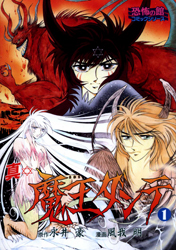 Will Masaki become the demon lord, or are his human feelings and memories strong enough for him to remain Masaki? 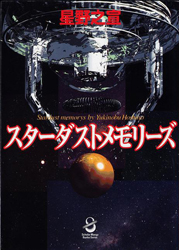 Stardust Memories is a short story compilation of human beings in the distant future where we have traveled deep into space. Each story describes a moral dilemma that people traveling in space may experience which is something that we have yet to determine in the current world. Stardust Memories talk about such problems as the implications of having people travel for years, even decades, in the cold, quiet and endless universe. A different story tells on how human presence in a foreign galaxy will affect the environment. The topics the author decides to write about are interesting and makes you wonder of the future. The Temple of El Alamein is a compilation of World War II short stories from the perspective of the German military personnel. As the saying goes, the winner writes history and these stories are untold, unwritten part of history of WWII. Taking place between 1940 and 1945, when the war was at its most violent peak, each story takes place in a different part of the world where Germans were fighting. One story takes place in Egypt where soldiers find an ancient ruin that prove the existence of dinosaurs that helped build the Great Pyramids. Another story tells how one German fighter jet was able to take down the B47 Stratojet 40,000 ft. in the air, way above what a fighter jet could achieve at the time. After rescuing a small town from bandits, the expert swordsman Rai finds himself wanting to stay in one place for the first time in his life. He remains as the town's protector, teaching swordplay to a kid named Saramu and being cared for by Saramu's pretty older sister, Rimu. But with the town constantly under threat, will Rai be able to preserve this peaceful life he has found? Or, will he find himself falling back to being a swordsman who thinks of nothing but killing his enemies? 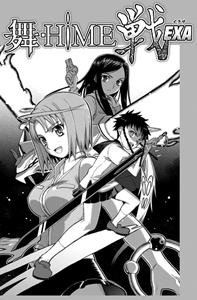 If you haven't done so already, check out the scanlations of the mangas from previous shout outs which have been recently scanlated: comedy sci-fi one-shot HACO, school life comedy Lock On!, fantasy God Seeker, and gender bender comedy The Idolmaster Dearly Stars: Neue Green. 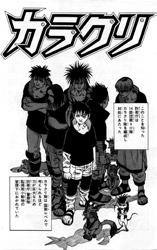 Read the volume 1 raw for '2 HEARTS' (トウーハーツ). 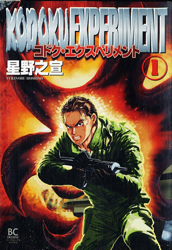 Then the Seinen: 11eyes (イレブンアイズ) caught my attention. The Shounen: My-HiME EXA (舞-HiME 戦 EXA) also caught my attention. I take that back, all these new mangas really look decent. 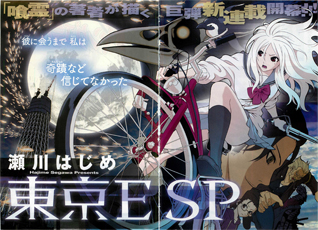 But 'Tokyo ESP' is most original and seems to have a better deep flowing story than the rest. Well, the only one that really catch my attention is Tokyo ESP...too bad it's already taken out at RP, so I guess I'll just have to either wait for another version of the raw or the scanlation then...-_-"
Only ones that look good to me are the ones by Hoshino Yukinobu. Yay! 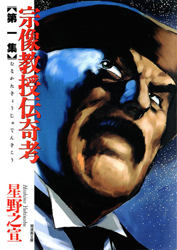 The mangaka of one of my favorite mangas(Ga-Rei)! 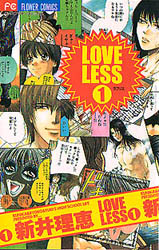 Why is there "scanlation: none" beneath loveless? Onemanga has been uploading chapters for quite some time! @ JustPassingByHm: Please note that those two series are different series. This series is a shoujo series by Arai Rie while the other Loveless series is a Josei/Boy's Love series by Kouga Yun and is licensed. For the record, the link to the details page of Munakata Kyouju Denkikou is broken. It keeps coming up with the "Page not found" message. As a few people have said, a bunch of these look pretty interesting. 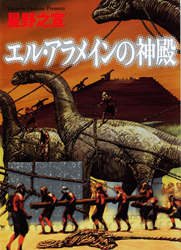 One thing I find weird is, the cover page for The Temple of El Alamein has a bunch of dinosaurs working on the pyramids and the description talks about the German perspective of WWII? Seeing as there are no English releases for it yet and I can't read Japanese, would someone mind explaining that to me? One story takes place in Egypt where soldiers find an ancient ruin that prove the existence of dinosaurs that helped build the Great Pyramids. El Alamein, which is in Egypt, was the site of two famous battles between the Axis and the Allies. Ah, ok. Thanks. Must have somehow skipped over that line while reading the description. Ah, thanks for the info c_k. 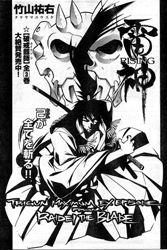 Could anybody do the translation for Trigun Tribute - rising? Nice! Lot's of old school sci-fi stuff. I checked a random page of "The Temple of El Alamein" and find what it looks like to be Colonel Sanders ordering a robot to kill a ninja... FOR THE LOVE OF GOD SOMEBODY PLEASE SCANLATE THIS!